BOGO bras at Aerie, 30% off select styles at Nordstrom, Ulta’s 21 Days of Beauty event, 30% off your entire Levi’s purchase, and more lead Tuesday’s best lifestyle deals. BOGO sale on bras, 10 for $35 undies at Aerie. Aerie has kind of dominated the easy, simple undergarments space for a while now (not to mention the anti-Photoshop pledge). So when they have a BOGO sale on bras and 10 for $35 undies, you’d better believe my cart has 14 things in it. (Also just an FYI, practically every bralette is on sale for $20 but they aren’t included in the BOGO). The deals switch up every day, so you’ll need to jump on them if they catch your eye. Today’s deal is Lorac Color Source Buildable Blush, Mally Beauty Volumizing Mascara, and Butter London nail colors. 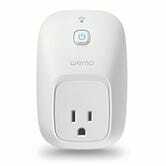 If you have any lamps or appliances you wish you could control from afar, Belkin’s popular WeMo Switches are marked down to all-time low prices in today’s Amazon Gold Box. 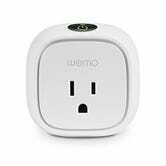 All you have to do is plug one of these in between a wall outlet and the device of your choice, and you’ll be able to turn it on or off from your smartphone or Amazon Echo, create automatic schedules, and even tie it to IFTTT recipes. For example, you could program your lights to come on when you pull into the driveway, or turn off when your Nest thermostat detects that you’re not home. 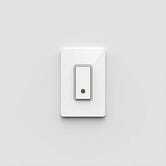 You actually have three devices to choose from today: The standard WeMo Switch, the Insight Switch which also monitors your energy usage, and the Light Switch, which you actually wire into your home’s electrical system. Just note that all of these prices are only available today, or until sold out. 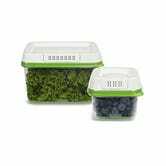 While supplies last (which, if history is any indication, won’t be long), you can get a 17 cup and 2.5 cup RubberMaid FreshWorks container for just $15. That’s an all-time low, and $2 less our previous mention. I might just buy myself a second set. These recently became one of the fastest products to ever reach our Bestseller pantheon, and we’ve heard nothing but good things from our readers. With 30% off select styles from Nordstrom, you can stock up on fall staples way before the temperature drops. Everything you need, from boots to sweaters, are marked down. It may say it’s a Summer Clearance but that doesn’t mean it’s full of last season’s leftovers. Every time that there’s a sale at Madewell, it’s hard to resist not putting 17 things into my cart. I need everything in the picture above, and you should spend the day shopping, because with the code DOUBLEUP, you’ll not only get 30% off select “Right-Now Picks,”, you’ll get an extra 30% off really pretty sale styles. Double up or double down, just double shop. A sale on sale styles at ModCloth is one thing, but when they mark down styles up to 50% off, you know it’s good. 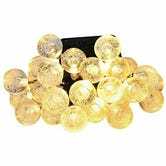 Tons of dresses, accessories, tops, and skirts are discounted, so add some vintage flair to your wardrobe on the cheap. And, because the prices are slashed, you could experiment with a style you never thought you could. Another day, another J.Crew Factory markdown. This time, get an extra 50% off basically everything (the only exclusions are men’s suiting, cashmere and leather items), including an extra 50% off clearance styles, plus free shipping when you use the code WOOHOO. Grab a new button-down for $35 or some new chinos for $30. So, tomorrow is September, which means summer is basically almost over. If you, like me, are thankful for this fact, than this 20% off sale at ASOS is right up your alley. Shop new styles, which range from coated denim to bomber jackets. There are even some bathing suits in there for those who aren’t quite ready to let go of the season. With the weather as nice as it is right now (in New York, at least) there’s basically no excuse not to be outside. If maybe that excuse revolves around not having the right equipment to be camping/hiking/outdoorsy, Moosejaw is giving you 40% off everything that has to do with Fall when you use the code COCONUTS. Why coconuts? No clue, but enjoy. Can’t wait for fall? Neither can Sperry. They’re marking down their fall styles to $75 for both men and women. So if you need a new pair of boat shoes, now the chance to grab a pair for $20 off.